Nokia’s high end smartphone loaded with features and hardware, yet keeps things simple. OK, BUT WHY IS THIS EVEN NEWS? 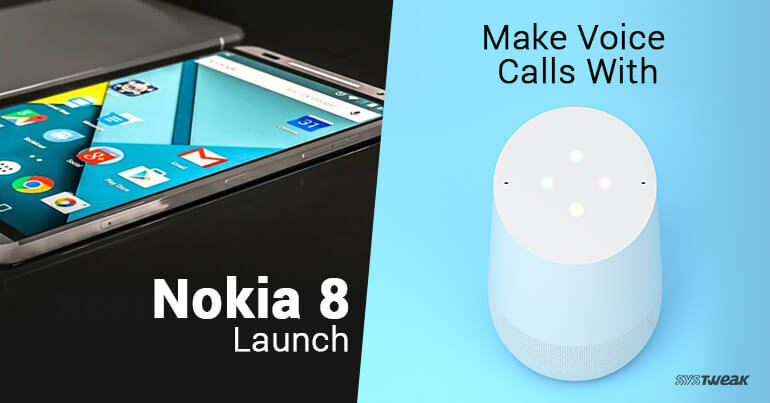 Although seeing a new smartphone launch isn’t anything new for consumers, Nokia launches always turn out to be special. This time they’ve revealed a high end smartphone that might turn the tides in their favor. The new smartphone has been labeled Nokia 8 and will be available in stores by september 2017. This is in continuation of the newly revitalized Nokia’s recent Android smartphones that currently include Nokia 3, 5 and 6. Despite the fact that the lower spec models weren’t able to scratch the market faced by tough competition, Nokia 8 could foreshadow the company’s return to glory. In a world dominated by Samsung and Apple, it might be extremely difficult for any new brand to gain buyer’s trust quickly. But that surely doesn’t seem like a problem for a legendary name such as Nokia. While their older attempt at seizing the smartphone market were mired by Windows platform’s inabilities, their flagship model will certainly please buyers. Priced at around $700, Nokia 8 runs on Android Nougat 7.1.1 and will be upgraded to Android O upon it’s launch. Compared to the obviously exorbitant iPhone models and Samsung S8, this might be able to balance the prices. Although a lot of people might find its design to be reminiscent of Lumia models, the subtle and sleek design surely wins a lot of brownie points. FINE, BUT WHAT ABOUT SPECS AND DURABILITY? NOKIA 8 is nothing less than a powerhouse when it comes to specs. It uses the same chipset as flagship models by Samsung, HTC and Sony Xperia, namely Qualcomm Snapdragon 835. This is topped off with a powerful 3090 mAh battery and 4GB RAM. The 64GB Internal memory can be expanded to 256GB with microSD support. It also boasts of Adreno 540 GPU and 5.3 inch Quad HD IPS LCD screen capable of 2560 x 1440 resolution. And as expected Nokia doesn’t disappoint with the camera as this device is equipped with 13MP Carl Zeiss dual lens for both front and rear modes. Since Nokia phones of old have been known for their ‘outworldly’ toughness, Nokia 8 too is built with 6000 alloy with 2.5D gorilla glass. With these specifications, Nokia have made it clear that they will reattempt their former market position, that might sound like bad news for competition. Google fulfills its I/O promise by launching voice calls for US and Canada customers. FREE CALLS, ARE YOU JOKING? Although this news qualifies as a definitive prank, but it is true. After foreshadowing ‘Hands-Free Calls’ during I/O 2017, they’ve finally launched the service for users across US and Canada. You can use voice commands like ‘Hey Google’ followed by ‘Call Dad/Mom’, and Google Home will make a phone call for you. But what makes it even better is the fact that you do not have to pay a single dime as all calls will be made over Wi-Fi. DOES IT SUPPORT INTERNATIONAL CALLS? Unfortunately, this service has only be launched for users in US and Canada. Therefore currently it is not possible to make calls outside US and Canada. Since, this service is currently only available in English, users from other regions might have to wait before Google releases it in more languages. However, there is news of a Canadian French version to be made available soon, so Google certainly intends to make this a global service.